Schneit es monentan in Whiteface Mountain (Lake Placid) ?Vielen Dank! 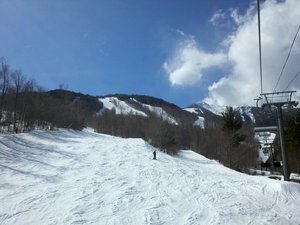 Whiteface Mountain, in the United States (New York State), is a medium sized ski resort with 10 ski lifts (8 chair lifts, 1 surface lifts) that offers skiers an incredible 1021 metres (3350 feet) of vertical descent. 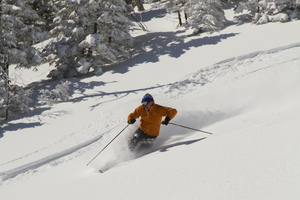 Whiteface Mountain has 220 acres of terrain over 74 trails with a total length of 50 kilometers (31 miles). 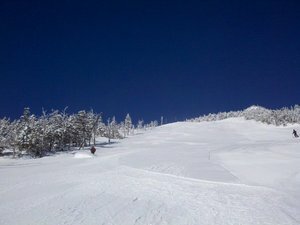 Whiteface Mountain is best suited to intermediate skiers and snowboarders but there is some terrain for beginners and advanced skiers. We have no information about the existence of any cross-country ski trails at Whiteface Mountain. For snowboarders, there is a terrain park and a half-pipe. 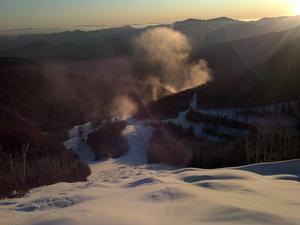 Nearly all of the trails at Whiteface Mountain are covered by snow-making. 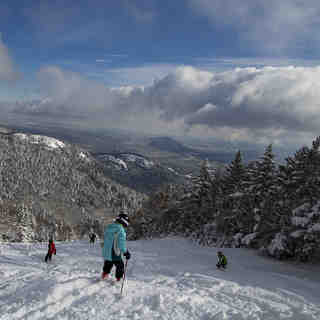 The nearest airport is at Montreal (Canada) and the nearest train station to Whiteface Mountain is at Westport. Whiteface is in the Adirondack Mountains, which are not part of the Appalachians. The Adirondacks are part of the Canadian Shield which runs across Eastern Canada to far Western Ontario, including Northern Michigan. This is an entirely different geological formation. The Adirondacks are some of the oldest mountains in the world, similar to the Urals, perhaps 3 billion years old. Lesen Sie 4 andere Beurteilungen ueber Whiteface Mountain (Lake Placid) oder geben Sie Ihre eigene Bewertung ab.